AFTER SEEING THIS YEAR BUDGET, NETIZEN FEELS LIKE HE BEING PENALIZED FOR LIVING IN HIS OWN COUNTRY! You are at:Home»Featured»AFTER SEEING THIS YEAR BUDGET, NETIZEN FEELS LIKE HE BEING PENALIZED FOR LIVING IN HIS OWN COUNTRY! This year’s budget certainly does not bring good news to many of us. Majority of the changes involve tax increases – maid levy, carbon tax, stamp duties, GST increase. The Maid Levy will increase 13% and 70% (an increase of $320 and $2200 a year) for the 1st and 2nd helper in families without young children and elderly respectively. The reason cited is to discourage Singaporeans to rely too much on foreign domestic workers (FDW). 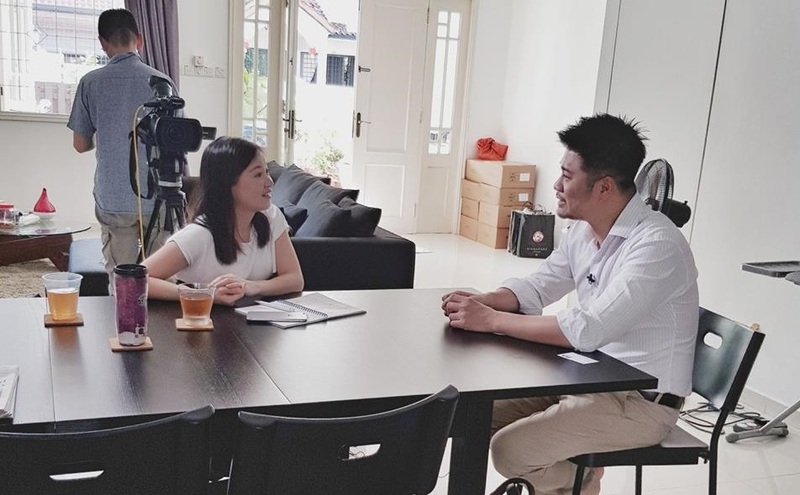 Mediacorp Channel 8 came earlier today to ask for my views on the increase. Honestly, an extra of $35 a month is not a lot of money. However, there are some important points and questions which ran through my mind. 1) If the government wants to help families with children and elderly, decrease their levy instead, and not increase levies for other households. Increasing levies is a cheap excuse to collect more tax and does not solve any problems. 2) If the increased levies go back into improving welfare for the foreign workers, then it is absolutely justifiable – but I do not think this is happening. Rather than increase the levy, the government should be calling for a compulsory increase in their wages, so that they can help the FDWs directly. 3) We hire FDWs because we NEED to, and not because we are lazy, as implied by our government. With long working hours and other commitments, we often need someone to look after the household. For myself, I spend long hours away at work, plus many meetings with SOSD. I need help to look after my dogs. A part time helper does not work because I will still need to be around – If I had the time to supervise a part-time helper, I would rather do the cleaning myself. 4) There is a surplus of 9.6 BILLION DOLLARS in 2017. The $100- $300 one time Angbao makes up only 7% of this surplus. There is no doubt that Singapore is rich (referring to the country). Where is the money going? – why is there a continued need for tax increases all the time (except during an election year)? 5) The message the government sends out every year is almost punitive – towards single men and women. I feel more and more every year that I am being penalised for living in my own country. Previous ArticleFEMALE KOREAN TOURIST GETS TAKEN ADVANTAGES OF AT CLARK AIRPORT IN PHILIPPINE! Next Article NETIZEN CLAIMS THAT LADY HIT 2 CARS AT THE CARPARK AND WAS STILL SHOUTING AT HER!